A beam in which the neutral axis in the unloaded condition is curved instead of straight. 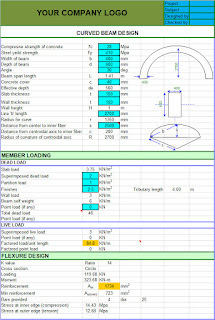 Or If the beam is originally curved before applying the bending moment. The main difference between curved beams and straight ones that the Neutral axis does not coincide with the cross section, but is shifted towards the center of curvature of the beam. 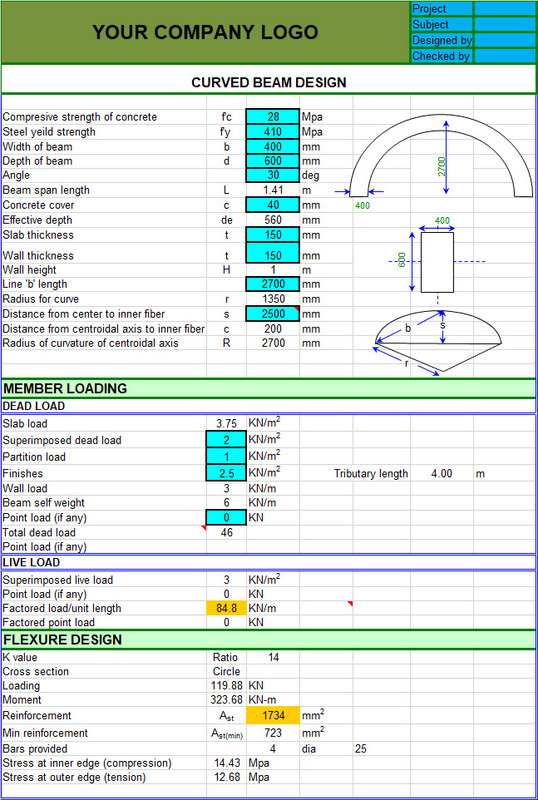 Please be informed that this Curved Beam spread sheet is Designed by us, please contact us for further discussion.